Welcome to day one of Blogtober! (Why, yes, I nicknamed the challenge I gave myself in my Autumn To-Do List– I’m a cool kid.) When I finally get over the fact that summer is over I like to jump headfirst into autumn. One of my favorite things about fall is how it smells. From the ubiquitous Pumpkin Spice Lattes (which, strangely enough, I’m not exactly a fan) to roasting pumpkin seeds, to the crisp scent of cool air, autumn is chock full of piquant spices. I love recreating that scent in the home, but feel that candles don’t do it justice. 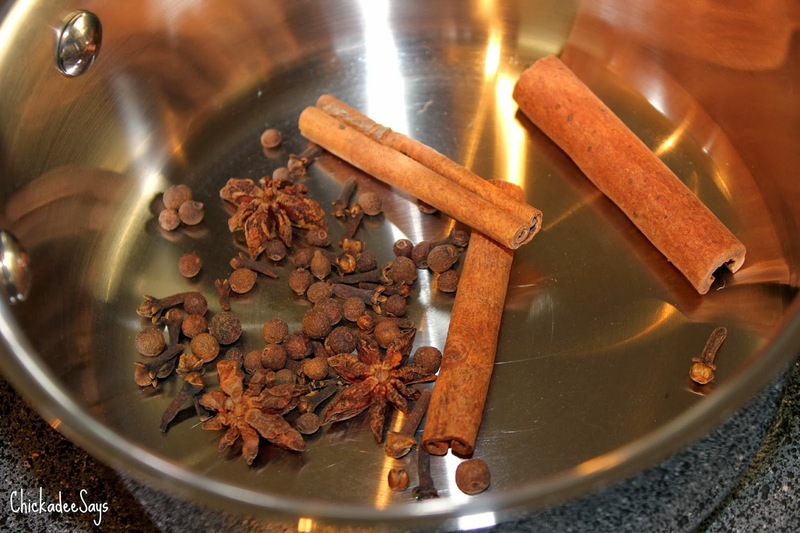 Adding a few choice spices into boiling water, however, yields an entirely different result- a delicious aroma of fall throughout the home. The most wonderful thing about this ‘recipe’ of sorts is that it is as simple as it is wonderful. 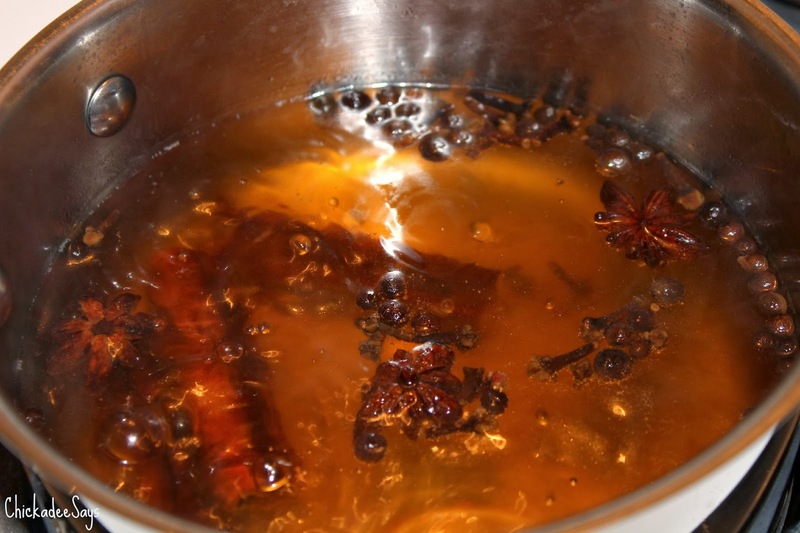 All you need to do is add you spices to your pot then fill it pot one-half to three-quarters of the way with water. Put it on your stove (or radiator, or wood stove) bring to a simmer and just wait to for the aroma to permeate your living space! All you have to be wary of is making sure the water doesn’t completely boil out- you can always add more water as the water level drops! I use this scent as a bit of aromatherapy. The scent of cinnamon, cloves, and allspice is known to have a vitalizing effect, perfect for getting ready in the morning. Pop a pot on the stove as you make your coffee (or tea in my case) and let the scent help wake you up. 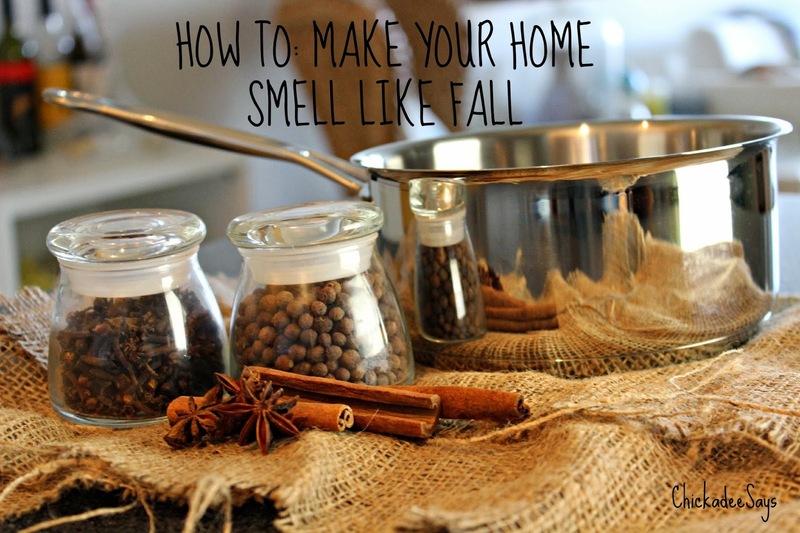 Pull the pot off your stove but let it sit so you come home to a wonderfully-smelling home! What are your favorite ways to celebrate autumn? Let me know in the comments below!